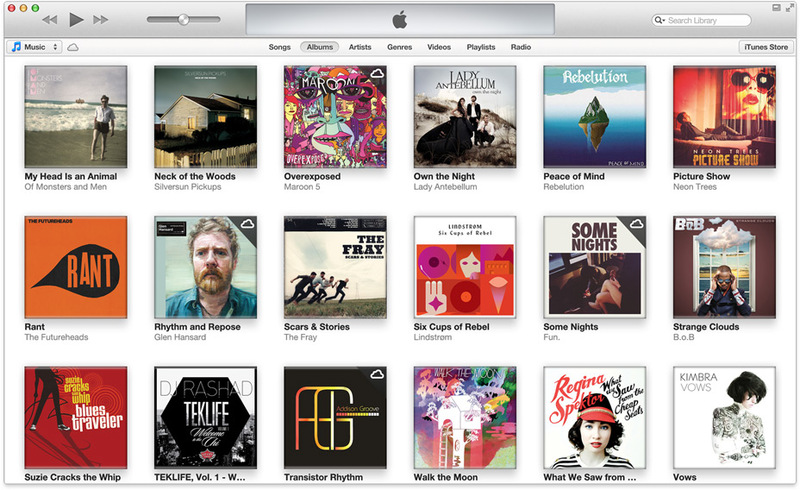 iTunes 11 is Out!!! Get it Here. A completely redesigned player. A newly remodelled store. And even more iCloud features. 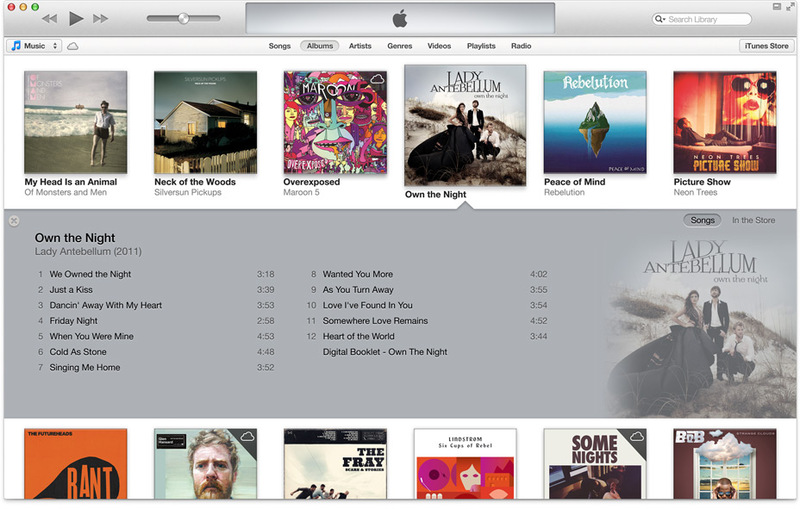 Everything you love about iTunes just got better. And easier. 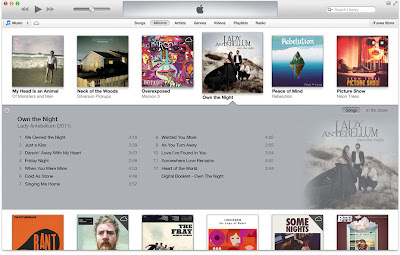 iTunes now features simplified views of exactly what you want. Looking for an album? Click Music and that’s all you’ll see. Do the same for films, TV programs, apps — and everything else. It’s browsing made more intuitive. Expanded View, See it, Play it Explore it. Select one of your albums and now it will expand in place. That means you can see all the songs on the album, click Play, and keep on browsing without having to click back to your library. You’ll also see In the Store recommendations for similar albums you’ll want to check out. We squeezed more features into an even smaller Mini Player. Now you can click the Up Next button to see which songs are playing next. And if what you see isn’t what you’re in the mood for, you can search your collection and choose a different song — without having to open your library. Bonus Features. Get Instant Recommendations. Choose What's up Next. Good recommendations are easy to come by, thanks to In the Store picks. Just select an album, artist or genre you like, and iTunes will suggest similar music you might never have found on your own. Already know what you want to hear? The new Up Next feature in iTunes lets you select a song and easily queue it to play next. Or last. A Whole New Look For The Store. All-New Design. Perfectly in Tune. With You. The iTunes Store has been redesigned for your Mac, PC, iPad, iPhone and iPod touch, so it looks and works the same wherever you shop. Easy-to-browse shelves serve up popular music, films, TV programmes and more. And all the features you know and love are even easier to get to. It’s the best kind of shopping — simple. Easier to Play. Whether You're Online or Off. 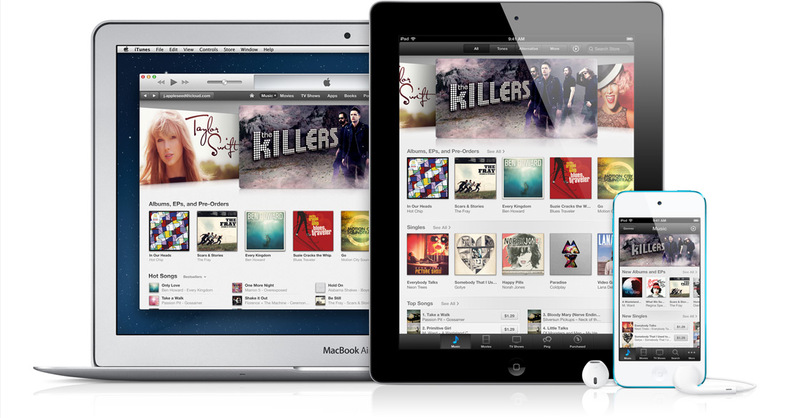 With iCloud, you can access your content on all your devices. And now, when you buy an album, song, film or TV program on any device, it’s instantly accessible in your iTunes library on your Mac or PC. Just double-click to play. Or if you’re going offline — say, taking your notebook on a plane — click the new Download button and take a copy with you. Pick Up Where You Left Off. We'll Save Your Place. Start a film, TV program, podcast, iTunes U lesson or audiobook on one device. Pause anytime, and you can pick it up later on another device. iCloud remembers where you left off. It’s just smart that way.